"Economic inequalities exist throughout California." That is how Assemblymember Eduardo Garcia described a compelling economic challenge in California. Garcia, who is chair of the California Assembly Committee on Jobs and Economic Development (JEDE), knows the issue up close. His home Imperial County has a 21 percent unemployment rate. Garcia told California Forward that “we need to take away the two Californias and have one Golden State for all.” Garcia pointed out that there are state and regional programs and services to increase investment in areas of California that are struggling. 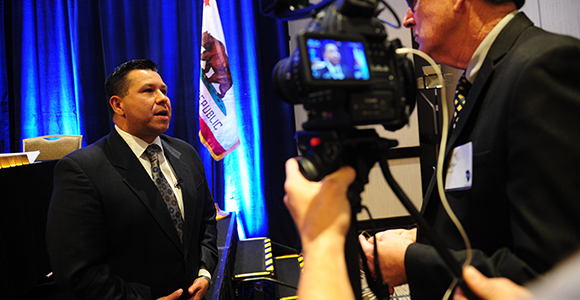 Garcia attended the recent California Economic Summit in Ontario and took advantage of the Summit’s large audience to hold a JEDE committee hearing on expanding prosperity. This idea of a shared prosperity is a main topic that the California Economic Summit has been working on for the past four years. The Summit’s 2016 Roadmap for a Shared Prosperity has been released to address ways that California can identify and train one million more skilled workers, can build one million more affordable homes, and save one million more acre feet of water each year. To learn more about it, read here.